Not only human rescuers are helping in Nepal, there are also dogs. The National Disaster Search Dog Foundation (SDF) is a non-profit governmental organization, founded in 1996 and based in Ojai California. 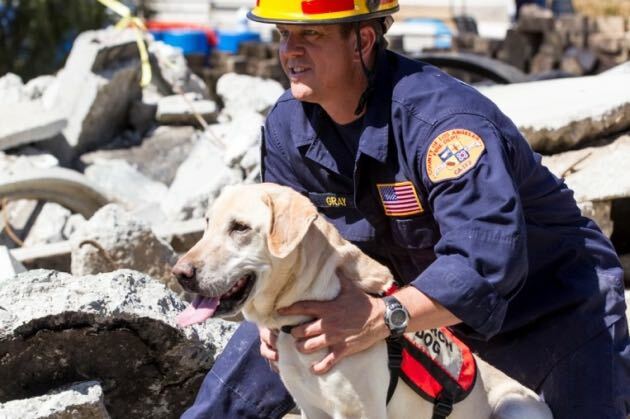 The mission of this organization is strengthening disaster response in America by recruiting rescue dogs and partnering them with firefighters and other first responders in order to find people that are buried alive in the wreckage of disasters. All dogs that they are offering are professionally trained and there is also an ongoing training program with no cost to fire departments. Moreover, to every dog in their program, there is a lifetime care ensured. Currently there are 72 SDF-trained Search Teams located in California, Florida, Nebraska, New York, Oklahoma, Texas, and Utah.